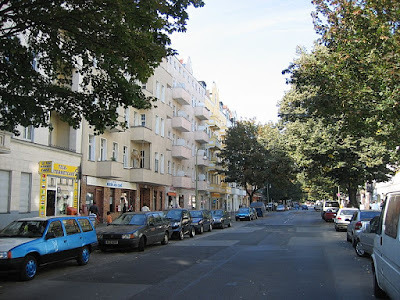 The Berlin district Mitte is considering to add more areas to the existing 5 “Milieuschutz” areas or to use the official title “Städtbauliche Erhaltungsgebiete”. A consortium of experts was instructed to look into areas that previously were suspected of being under pressure regarding modernizations and rent increases. The quarters (Kiez) under investigation are Soldiner Straße, Kattegatstraße, Reinickendorfer Straße and Humboldthain Nord-West. The study shows that a large proportion of the population in these areas are now in danger of being pushed out by rent increases. Over the last decades, significant public investment went into these areas to improve the quality of living. This has attracted higher income tenants which in turn raises the attention of property investors. The apartment buildings in these areas have a high potential for modernisation followed by rent increases: e.g. half of the apartments don’t have a balcony, very few have a lift. These four areas are to be closely monitored for activities leading to the actual decision by the local council. Once the decision for starting the process for the declaration of “Milieuschutz” is published, certain activities like Title Split can already be blocked. Thinking About Dividing an Apartment Block into Condos in Berlin? What Could Possibly Go Wrong?